We have returned from Iowa. 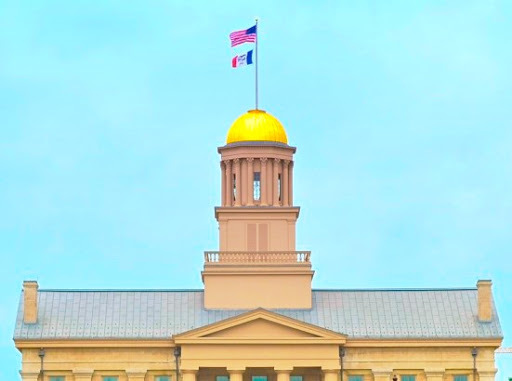 Home of corn, soybeans, hogs, Iowa caucuses, University of Iowa. Where American Gothic was painted. The setting for the Field of Dreams. Land of small towns where no one locks their doors. Home to Buffalo Bill, Grant Wood, Elijah Wood, Cloris Leachman, Herbert Hoover, Ashton Kutcher, Johnny Carson and John Wayne. Home to authors John Irving, John Cheever, Jane Smiley, Philip Roth, Michael Cunningham, and Paul Harding. Although, many of the landmarks of my youth have disappeared, a few still remain. 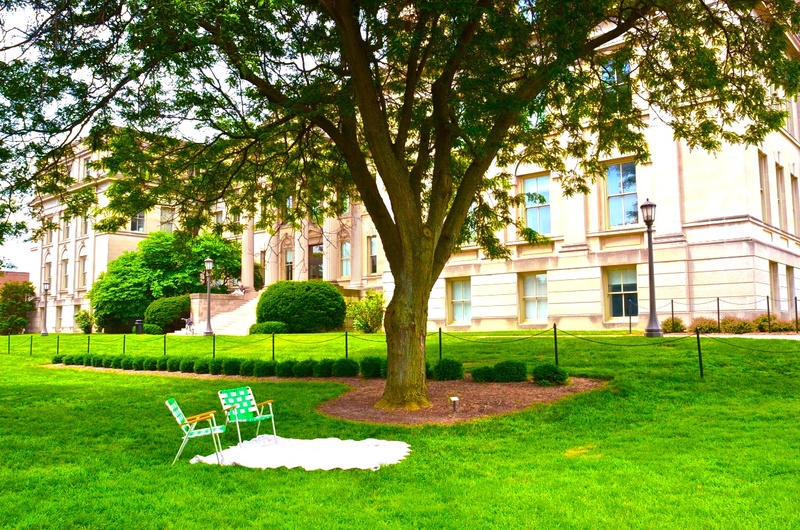 Like the University of Iowa in Iowa City. I have many fond memories of traversing that campus. Or napping on the lawns in between classes. When I drive across the state, it never ceases to amaze me of its beauty and openness. So much land. And so much baldness! ~snort~ Sorry, I couldn't help myself. No ... Iowa isn't known for its bald men. But it is known for my men. My son, Jason, The Professor and my brother, Marty, posed for this beauty shot! Aren't they handsome! Home of beautiful farmland, barns, long country lanes. And once home to me. And John Wayne. It's fun to visit and yet always sweet to return home after traveling. Do you ever return to your childhood hometown? I'd love to hear! The colors in that third shot are incredible - beautiful landscape. 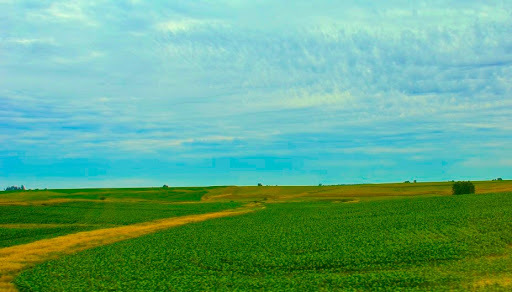 I live just a stone's throw from the town I grew up in so I guess I am visiting every day:) Lovely photos...love those wide open spaces and skies. Looks like you had a wonderful visit.. Wonderful photos. Of course, the bald one cracked me up. Your men are good sports! I haven't in many years. Don't really ever plan to. No really good memories to be revisited there. Can one "really" go home, I wonder? I do, at least a couple of times a year, and as much as I love where I am now, there will never be any place like it to me. 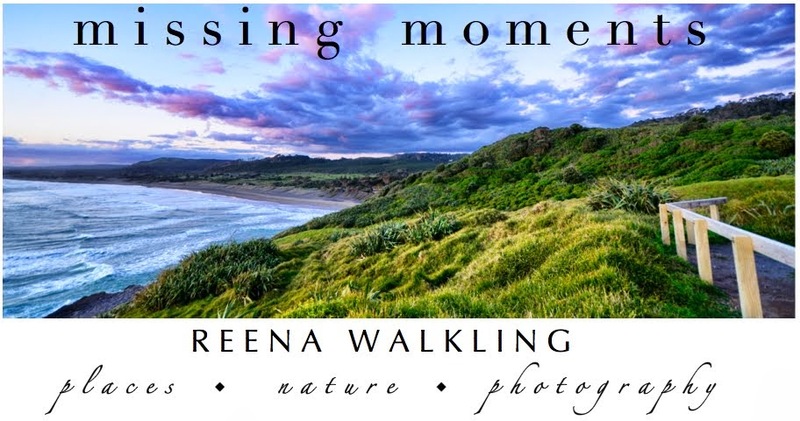 Wonderful photographs Reena, and welcome home! Gorgeous photography! and the last photo is SO fun! I get back to my hometown quite often. Now when I am there I am like a tourist...taking photos of things I took for granted as a young girl. Haven't been to my hometown in many years. Enjoyed these views. Neat pics, love the blad headed shot. These photos are all so beautiful. I love the snort.. and laughed. Blad is beautiful on men I think, young middle or old. I love bald men -- my husband being a baldy! Nice glimpses into Iowa, thanks! After being gone for a Navy life for 26 years, we moved back home to be closer with family. It's been ten years now and this home is where we've lived the longest. I guess we've gotten over the wanderlust, because we have no intentions of moving. That is until we are no longer capable of taking care of our property. Then, we'll move yet again ~~ back to the coast somewhere I think. Lovely photos. Thanks for stopping by the other day. I'm running a little behind on commenting. I live in my home town... so things never seem to change around here. I would just love to travel across America one day. I believe I must have had an earlier incarnation there as it feels so much like home to me. love the green color in some of these shots! welcome back! one of my best friends is from Iowa! A revisit to the familiar - good times. 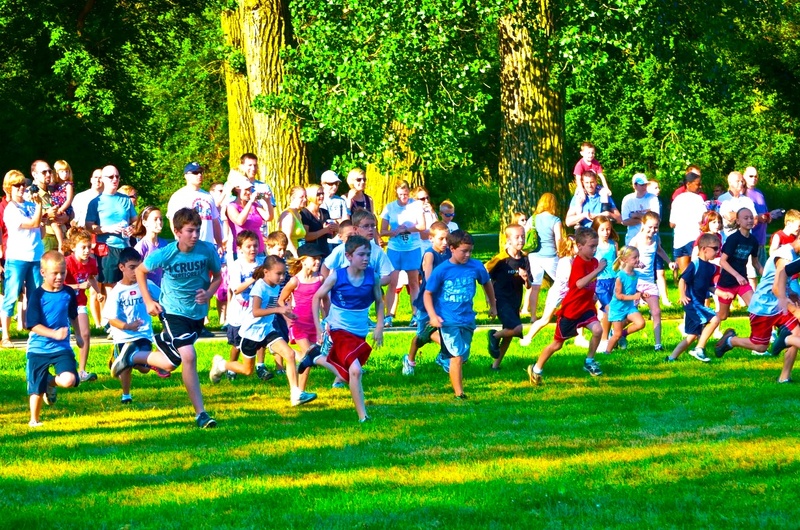 Loved the picture of kids racing. I am follower # 91. Reena, it gets to be a small world sometimes! My step children and granddaughters live in West Des Moines. This is the first year in many that we haven't headed up there during the summer. We've spent lots of time there over the years and I'm sure we'll be there lots more. Glad you and John Wayne had a good trip. That's such a tiny little house. Good thing you went before this week. They are under a heat warning there now... ugh. Hope my grandkids are staying indoors today. 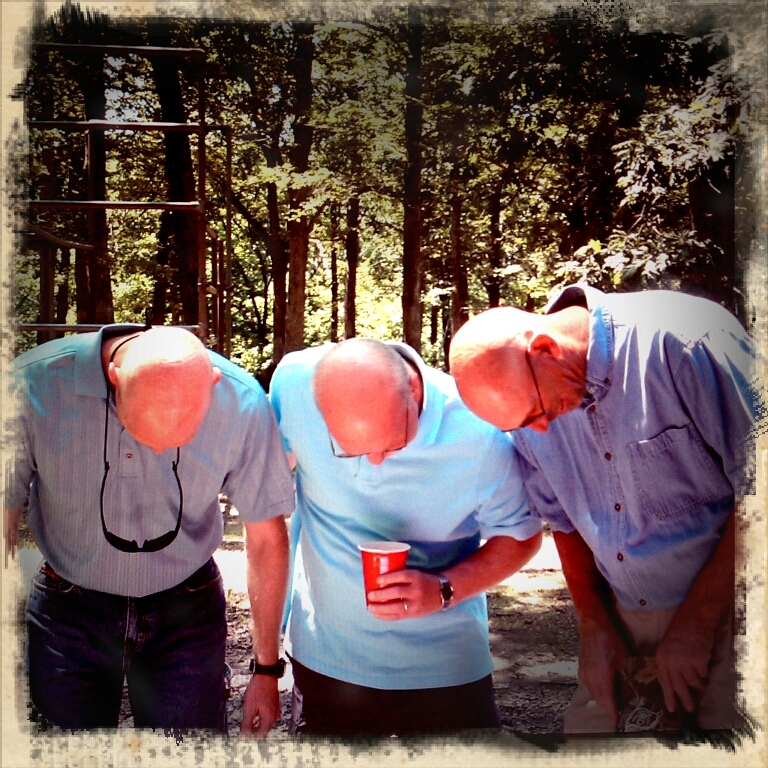 Love the baldy shot... heh heh... did they use SPF50?